EIGHT years. That has been how long since a new hand-wound movement came out of Grand Seiko’s Shizuku-Ishi Watch Studio — the place from where the brand’s mechanical watches spring (its quartz and Spring Drive produce come from Shinshu). Now, the manually cranked cal. 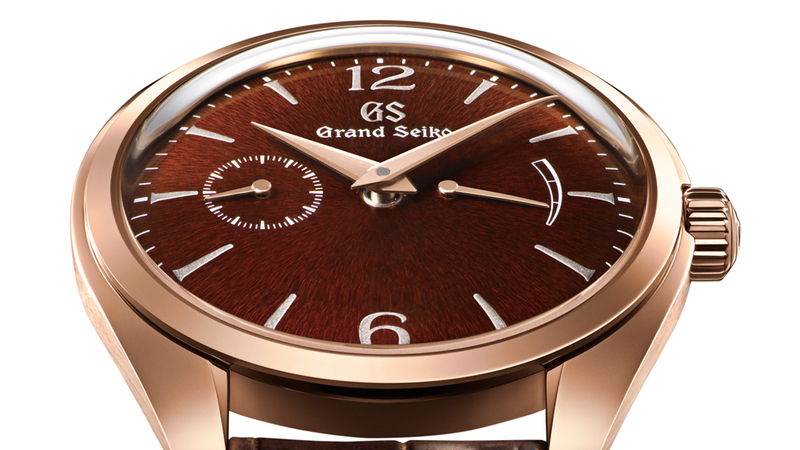 9S63 adds to Grand Seiko’s repertoire of movements, carrying with it a small second readout at 9 o’clock and a power reserve indicator directly across it. The new 33-jewel cal. 9S63 spins at 28,800vph and packs a 72.hour power reserve. It’s reckoned it would tick no faster than five seconds in a day, nor would it lose more than three seconds during the same stretch. While a significant development, certainly, the pieces within which Grand Seiko fitted this new hand-winding calibre are just as compelling. Three new models, all belonging in the Grand Seiko Elegance Collection, and all limited-edition pieces, initially get the cal. 9S63. The first two — SBGK002 and SBGK004 — come in 18-karat rose gold cases and urushi lacquer dials. Only 150 examples of this pair will be made. The third model is referenced SBGK005. 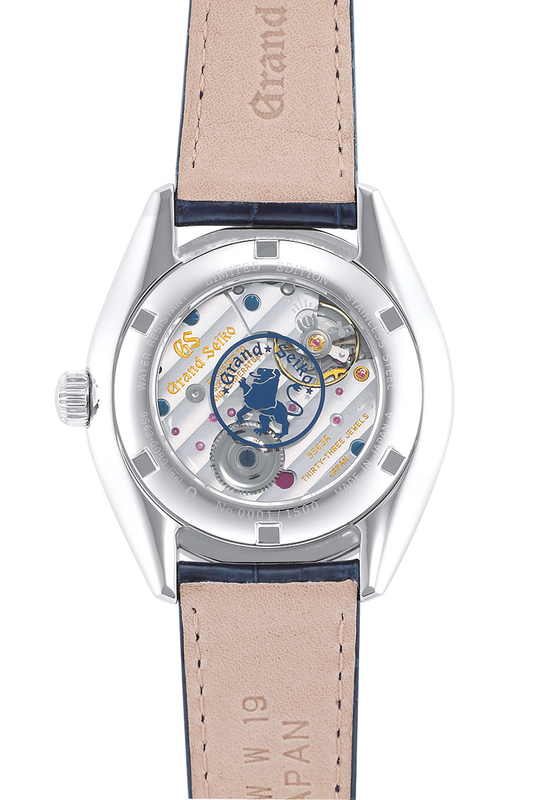 It wears a steel case and a blue Mount Iwate pattern dial, or Iwateyama, which evokes the landscape of the mountain. 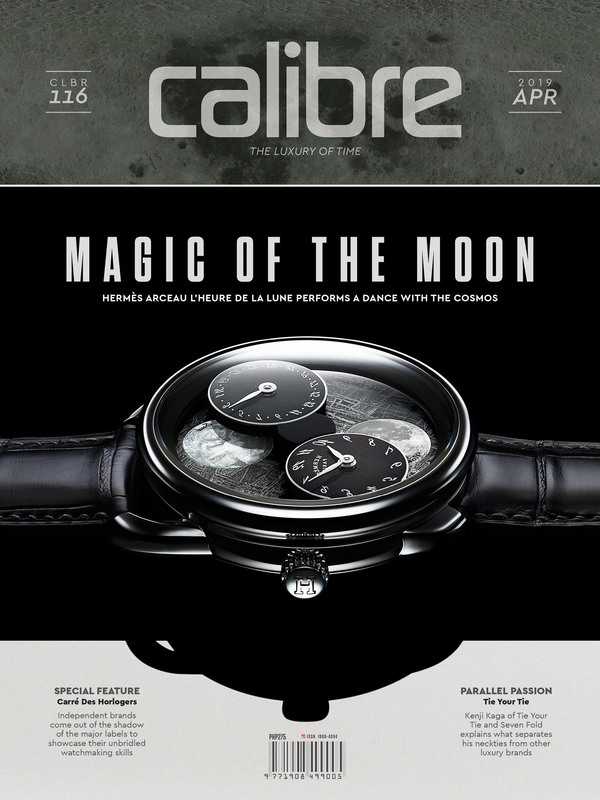 The watch’s production is capped at 1,500 pieces. This, and the two other models, will be sold starting in March. After which, a fourth model will join this trio — in July, according to Grand Seiko. 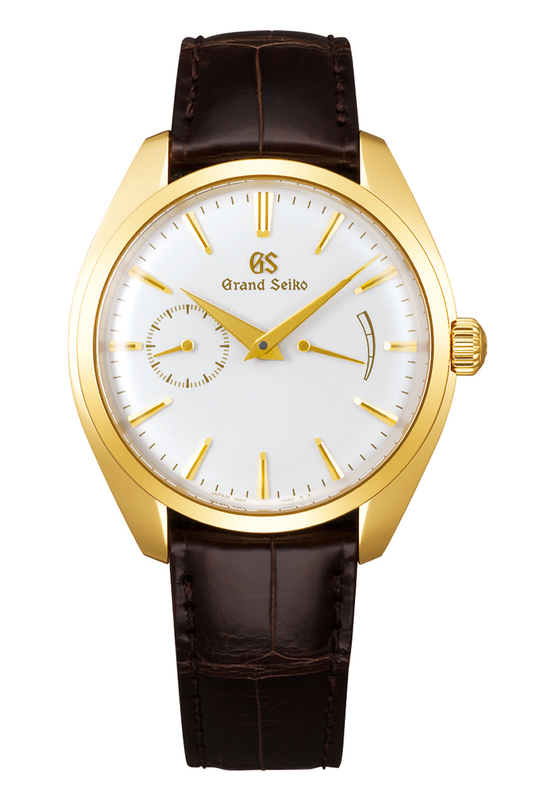 Tagged the SBGK006, the watch will arrive in an 18-karat yellow gold case and a white dial. It is set to be sold in Grand Seiko and Seiko boutiques, as well as select retailers worldwide. Any of these pieces brings the Grand Seiko Elegance line to new heights. The SBGK002 and SBGK004 fuses Grand Seiko’s signature Mount Iwate pattern with urushi lacquer finish. 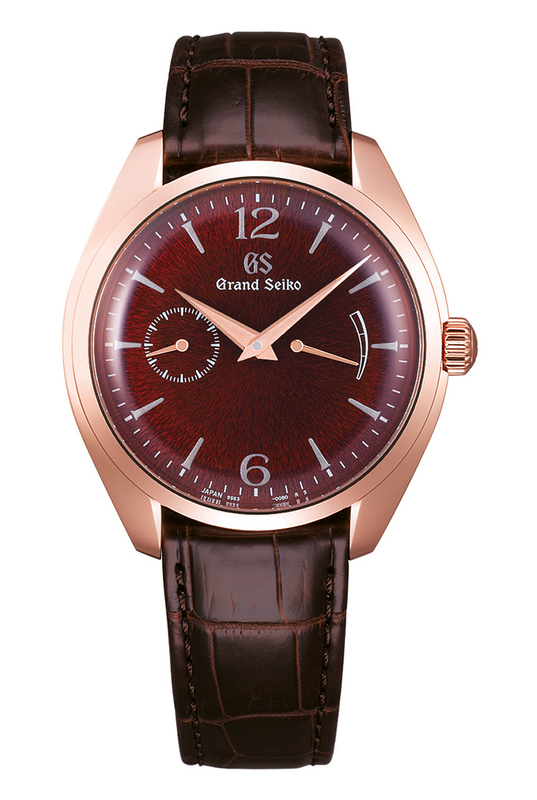 In the SBGK002, the deep red color of its dial is achieved by using a transparent coat of urushi, or Suki-urushi, to be precise, which is derived from trees in the town of Joboji, situated at the foot of Mount Iwate (it’s the mountain, by the way, which dominates the scenery as viewed from the Shizuku-Ishi digs). This natural lacquer has a rich amber hue but is also clear, allowing the elaborate Mount Iwate pattern engraved on the dial to peek through. 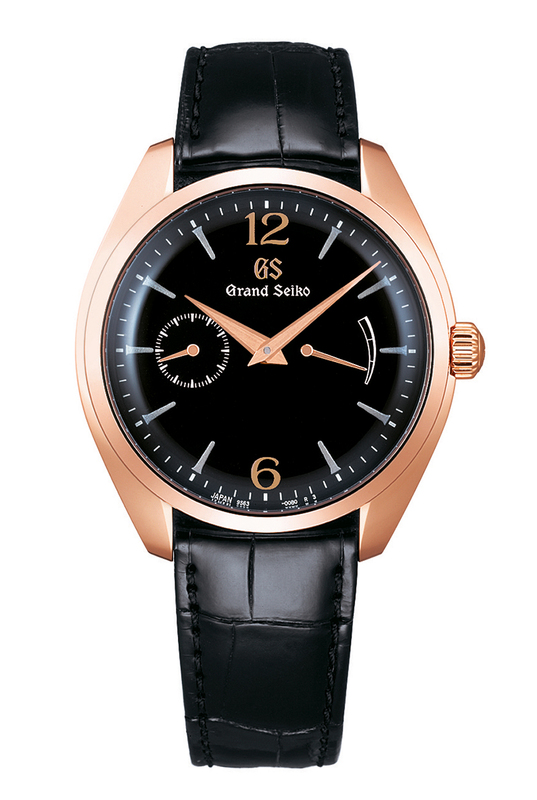 The black dial of the SBGK004, for its part, also sees a coating of urushi lacquer. But this time around it is mixed with iron, giving it its lush, jet black finish. Whether in amber or noir, however, the watch’s hour markers and the “GS” inscription are applied via the maki-e technique in which either 24-karat gold powder or platinum are layered repeatedly, then polished by hand using special tools. To call this method finicky is to say single malt whisky is yummy — it’s obvious it is. This is especially true when it comes to the markers, which have to have uniform depth, as well as to curved surfaces, like on the minute and power reserve indicator hands which, in fact, have to be bent manually so these would follow the domed contour of the dial perfectly. As such, only one man, urushi master Isshu Tamura, working in his studio in Kanazawa, touches the dials. The SBGK005 maybe the simplest (and cheapest) among the three, but its dial sees the same Iwateyama flourish even if it isn’t coated with urushi. Plus, its blue palette manages to let this watch stand alongside its pricier siblings. Besides their new hand-wound tickers, common among the three models are new, more elegant, Zaratsu-polished cases measuring 39 millimeters across. 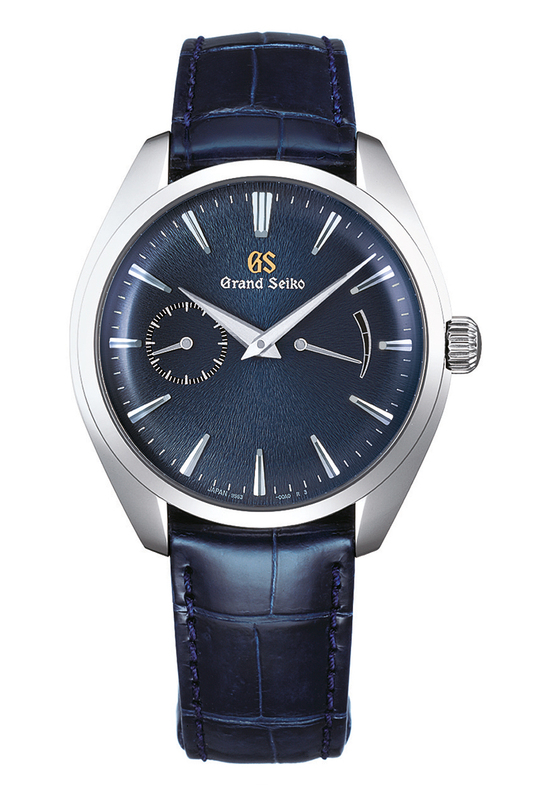 Fittingly, Grand Seiko bills these latest Elegance Collection pieces as the “mechanical thin dress series”— they are only 11.6 millimeters “thick,” counting in their screw-down sapphire crystal casebacks, as well as domed sapphire over the dial. If these models indicate what Grand Seiko has in store for Baselworld in March (the limited-edition watches’ March release is telling), then expect some really good stuff from Shizuku-Ishi and Shinshu.